What Should Be Paid Attention to When Investing An Amusement Park? Home News Jinshan Blog What Should Be Paid Attention to When Investing An Amusement Park? Mainly , there are three items should be paid attention to: Fund, site selection , safety. These three items are indispensable! *About the fund, there are two major items on investing amusement equipment: earlier stage fund and later stage fund. 1.Earlier stage fund : A: Venue rent, decoration costs. Purchasing cost for amusement equipment. C. Advertising investment, and cost for tickets, membership cards, etc. D. Cost of business license and other relatedprocedures. 2.Later stage fund: A: Sanitation cleaning costs— If the scale of your park is not big, you can do it by yourself. Or find special staff to do it regularly. B: Maintenance cost for amusement equipment. C. Purchasing cost for adding new amusement equipment. With the improvement of the business, it is necessary to update the new equipment continuously; if there is no freshness, the passenger flow will be less and less. D: Water, electricity, fire control cost and so on. Considerations of site selection: A: Passenger flow, B, Site rent, C. Government policy. D. Surrounding environment. E. The requirement of citizen. F. Horizontal competition. 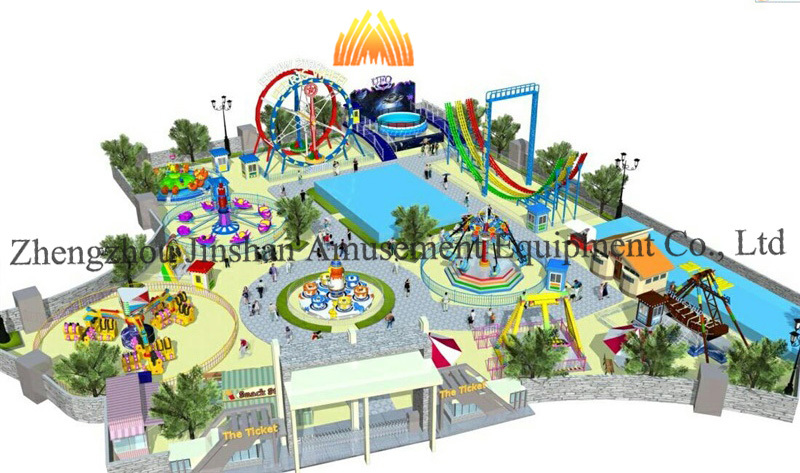 G. The important one is based on your fund budget, combined with local people flow and the level of consumption to decide your park property, such as theme park, children playground or citizen entertainment etc. No matter how tight the fund are, the safety problem is the most important question that should be considered. In case there are casualty accident, the punish and compensation will dissipate business owner’s fortune. 1.Must use the qualified amusement equipment. And do the related maintenance work well and heck the equipment regularly. 2.Should have emergency plan, such as: Sudden power outage during equipment operation, equipment malfunction etc., as well as other unforeseen accidental factors. Prev： How to Operate The Amusement Track Rides ? Next： How to Maintain The Luxury Carousel?